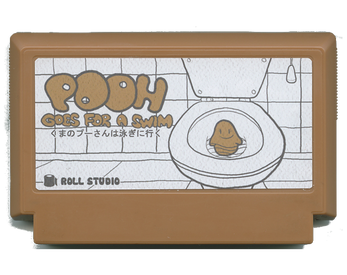 You play as Pooh, trying to make your way out of the sewers to the ocean, through three procedurally generated levels. On your way you encounter obstacles that try to harm you, but enemies can be used against each other, and there's also a helpful rat selling you stuff on your way to freedom. This game was made for the 2018 "A Game By It's Cover" game jam. I love when games have a surreal vibe, and I love all of the effort and details you've put into this game. Rather than have a boring health bar, you have the screen tilt, the light shrink, and the music play slower. There's so many little details and cool stuff in this and I can tell you're very talented and that you put work into this. I strive to be as good of a game developer as you one day. Thank for playing and for appreciating all the little stuff :) It makes it feel worth the effort. A little slow I think, would recommend putting in like a oost. I see, what's a oost? oops meant to say boost :D Like click shift to boost for a while. 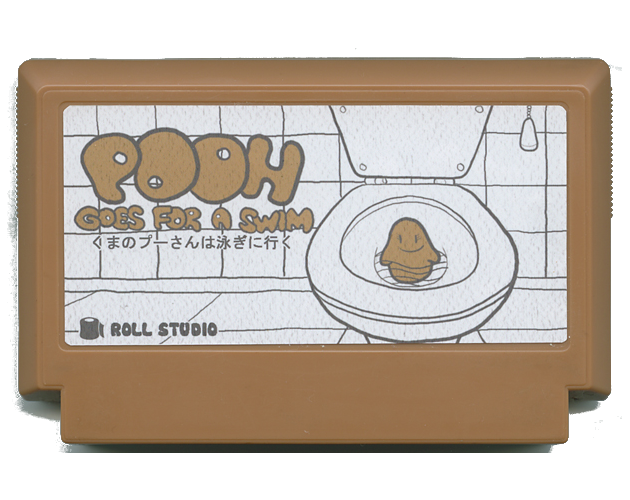 Who ever thought poo could be so cute? This is pretty damn hard though, no joke on that front. I think most of it has to do with the fact that the swim height isn't very high and it can be hard to get back off the ground. Still fun though!